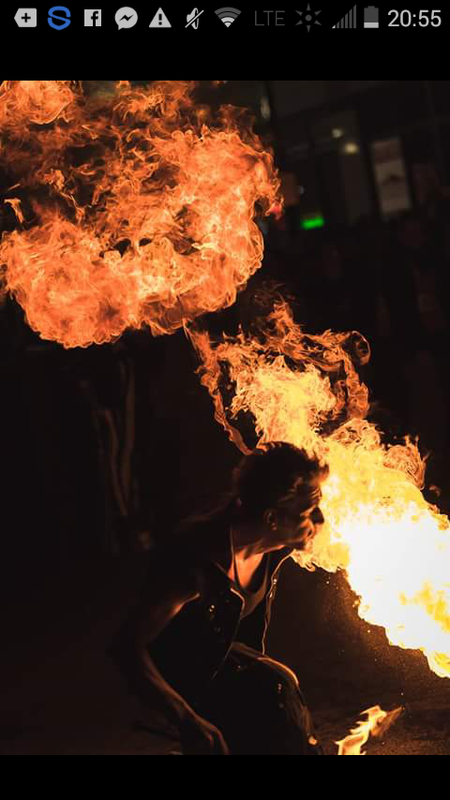 Fire eating/breathing. 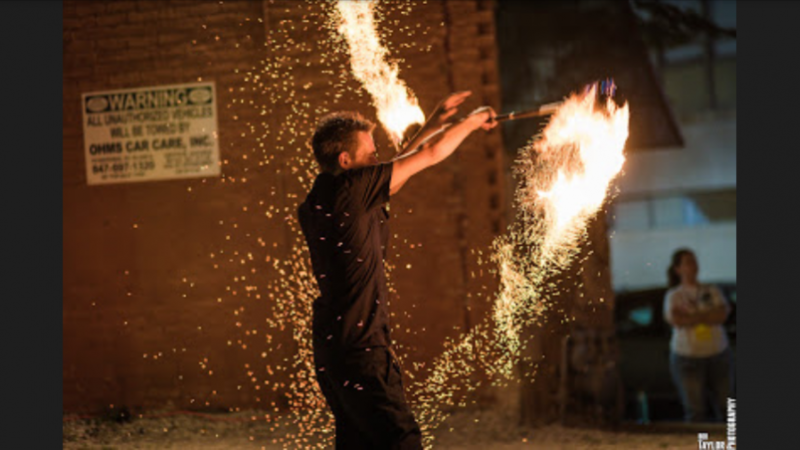 Fire poi, staffs, rope dart, nunchucks and custom handmade props. We can use LEDs if fire is not allowed. 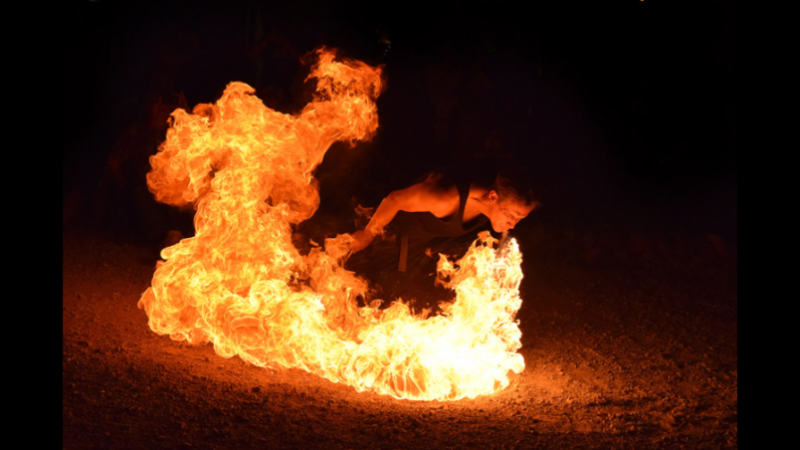 Over 6 years of experience and taught by a world famous fire performer. Small shows with a meet and greet. People can talk to me before or after the show. Anywhere between 10 mins. To an hour and I can bring more than one performer. We always have safeties with fire blankets and extinguishers. I can do a skill share as well so people would be able to try a prop without purchasing, I love spreading knowledge about this art and the community. 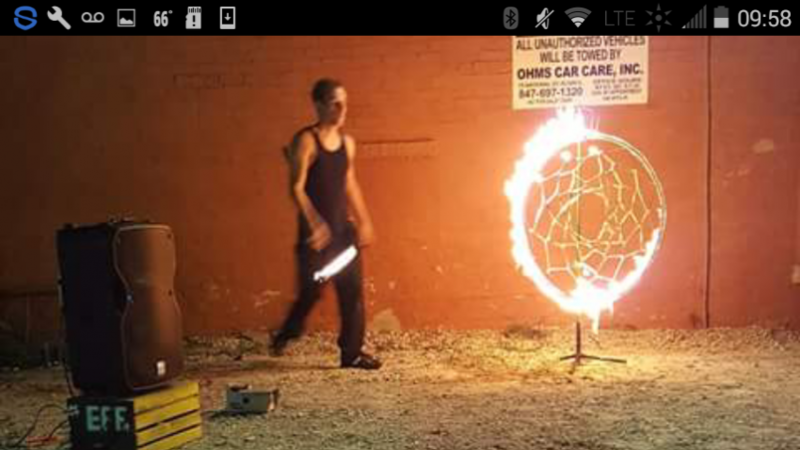 I started out spinning poi about 6 years ago and fell in love. I have since made any fire prop that there is along with custom pieces because everything looks cool when it's on fire. I became a host for a flow studio where we hold flow jams and classes for kids and adults. I was able to learn for a world class artist and utilize these techniques. 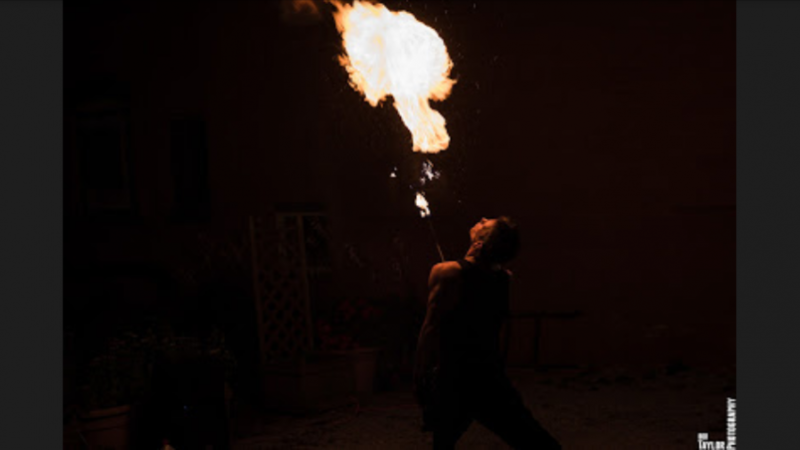 My favorite effect is fire eating/breathing and I make special cages for a big effect that normal fire props can't do. Prices will depend on travel time, fuel, time duration, safety and specific pros.